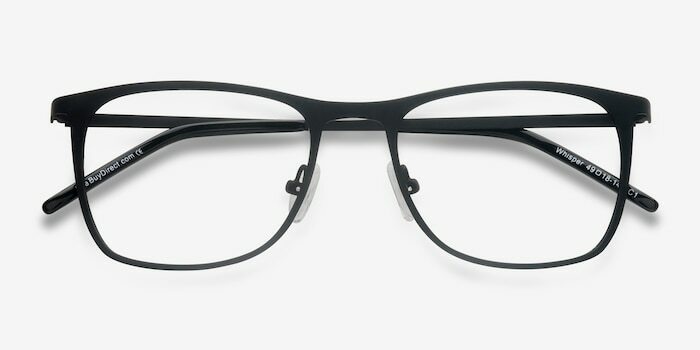 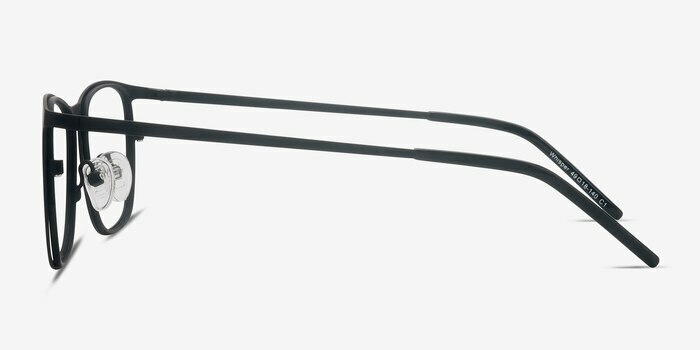 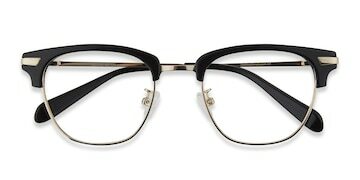 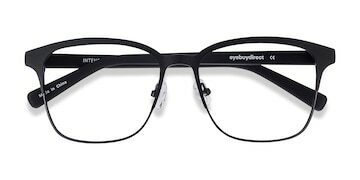 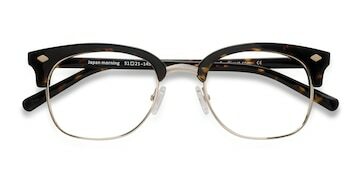 There's no need to Whisper in these bold, modern eyeglasses. 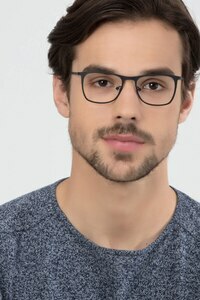 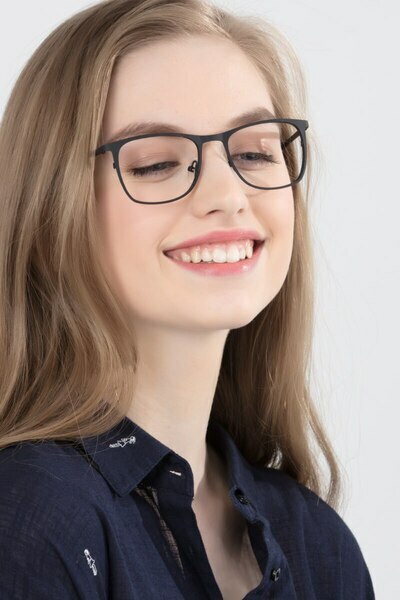 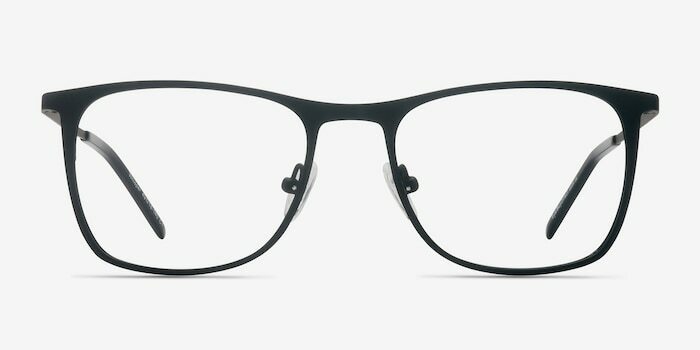 With an eye-catching outsize, full-rim rectangular design and sleek contemporary contours, this frame will instantly upgrade your look. 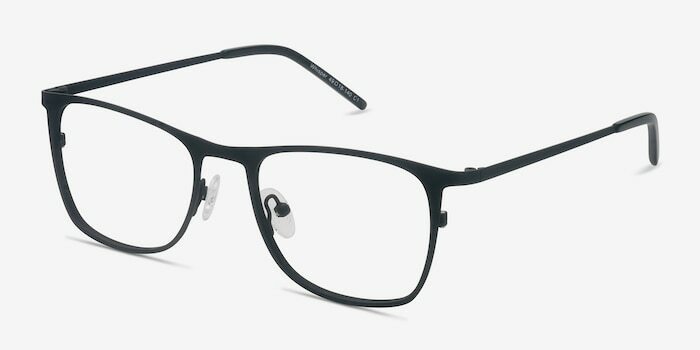 Crafted from top quality matte black metal and fitted with temple tips and adjustable nose pads, Whisper is also super hard wearing and comfortable.